Mother's Day 2013 is here! Celebrate this special occasion and show mom that we appreciate her for all her hard works, achievements and all the things she have done for us. 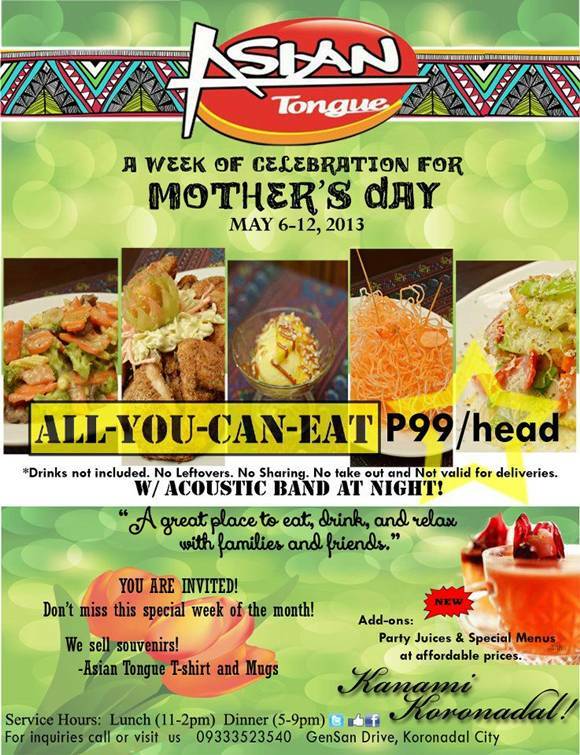 Here are Mother's Day deals and promos in some restaurants in the City of Koronadal. A week of celebration from May 6-12, 2013. Eat-All-You-Can for only P99/head with Acoustic band at night. 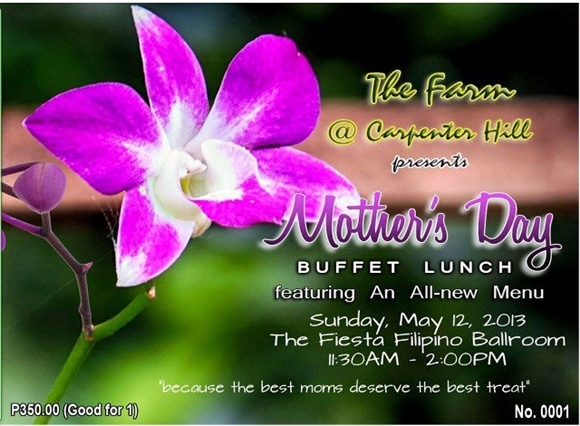 Mother's Day Buffet Lunch featuring All-new Menu. Celebrate Mother's Day in style with The Farm @ Carpenter Hill's All-New-Menu BUFFET LUNCH , Adults @ P 350.00/head, Kids 10 years old below @ P 200.00/head. Mother's Day Lunch Buffet with a bit of a Splash. 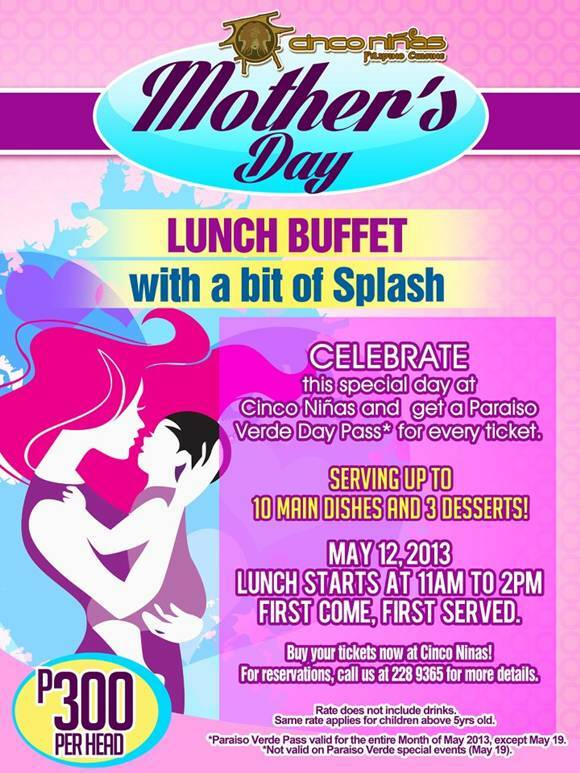 Get a great lunch buffet at Cinco Niñas and get a free day pass at Paraiso Verde Resort & Water Park! For only 300 pesos.